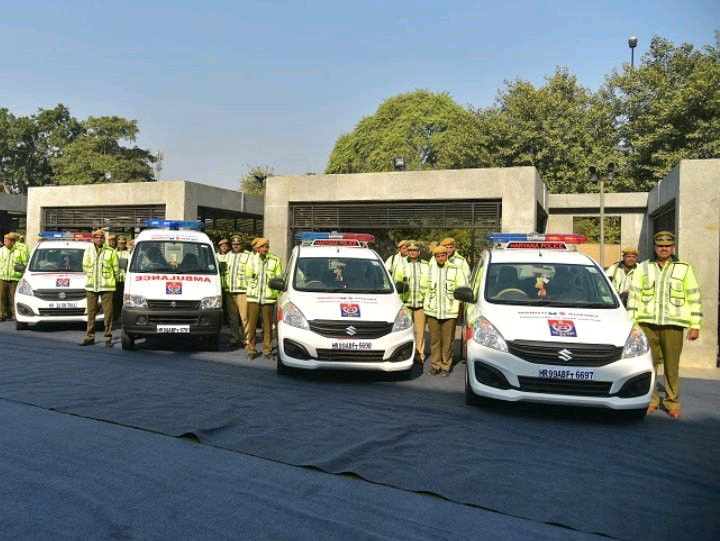 Maruti Suzuki has come out and gifted 15 cars to the Haryana Traffic Police. Out of these 15, 13 were Ertigas and 2 were Maruti Eeco vehicles meant to adress medical emergencies. Out of these 13 Ertigas, 2 were interceptors and 11 were regular Ertigas. The interceptors have been equipped with laser based traffic speed video systems, printers, roof mounted day and night all weather PTZ ( pan-tilt-zooms ) cameras, LED monitors, roof light bars and public adress mechanisms. The interceptor Maruti Ertiga is also equipped with breath alchohol analysers to detect if motorists are drunk. Also the Maruti Eecos can be utilized to pick up accidental cases to rush people to safety and provide timely medical aid. The ED (HR) of Maruti Suzuki Limited India, C.S. Raju was quoted saying "We at Maruti Suzuki are committed to promote Road Safety in the country. 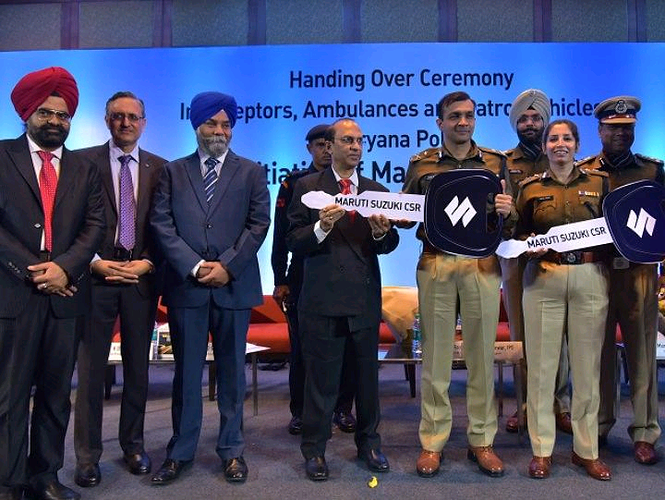 Together with Haryana Police, we intend to reduce road accidents in Haryana. We have set up Maruti Driving Schools (MDS), Institute of Driving Training and Research (IDTR) and Road Safety Knowledge Centres (RSKC) in the state to promote safe driving. By giving these vehicles, we are further extending our support to Haryana Police for making roads safer. Emergency care is one of the important areas of concern when it comes to road safety. 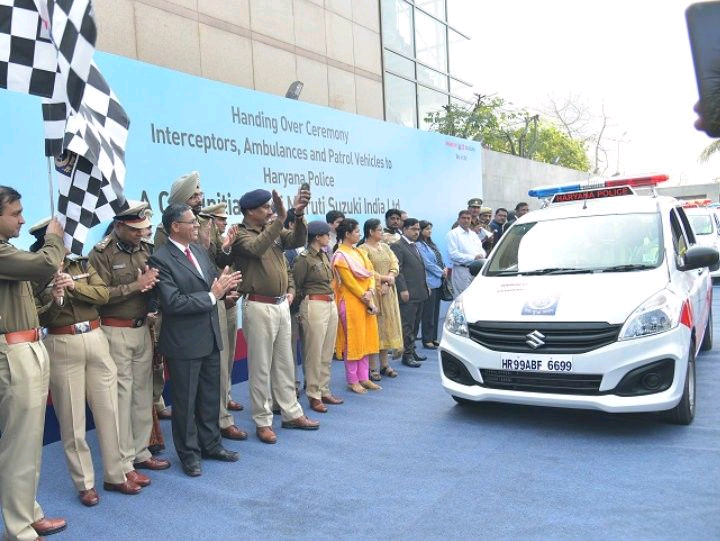 Through the two Eeco ambulances we aim to assist the Haryana Police provide immediate care to accident victims." This is not the first time that Maruti Suzuki has come up with a road safety initiative. Earlier the company came up with Gatimaan Ki Paathshala awareness programme at Gurugram.